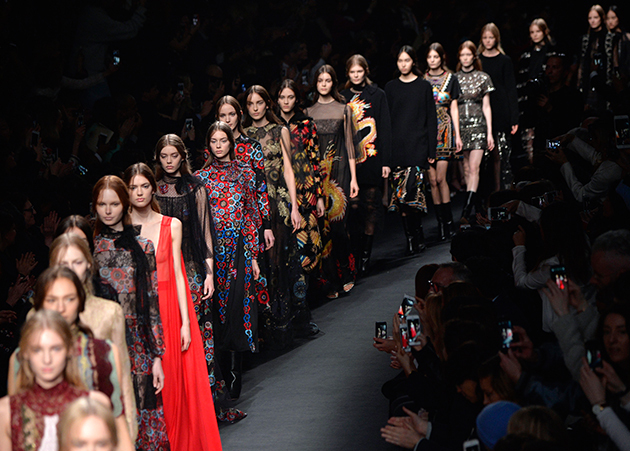 Kuala Lumpur: The audience of Paris Fashion Week show at the Jardin des Tuileries on Tuesday gasped in utter surprise when they were served with the unexpected at the Valentino Fall/Winter 2015 show. 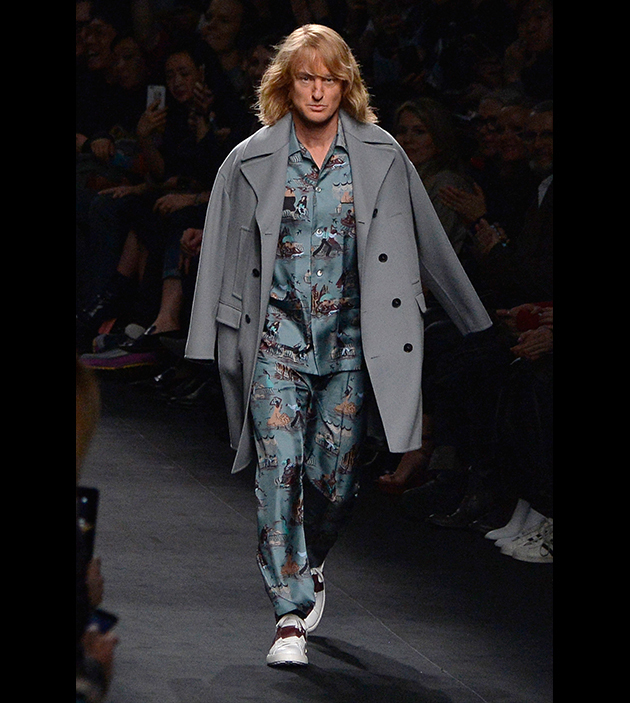 Ben Stiller and Owen Wilson reprising their respective Zoolander film roles of Derek Zoolander and Hansel hijacked Valentino’s show with their signature model battle. 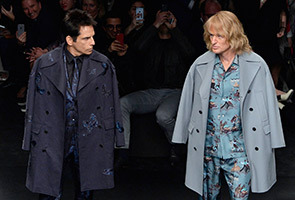 The rival male models (in the film), did their walk-off to the 80’s tune “Don’t You Want Me” by Human League, to announce the release date of the sequel Zoolander 2. No one saw it coming until Stiller and Wilson owned the runway with runway in a mix of custom suiting and pieces from Valentino's fall 2015 collection. They both looked extremely sharp and good looking with Stiller donning a black butterfly brocade two-piece suit with a coat slung over his soldiers and Wilson in a slinky blue silk pyjama set with a pale grey coat. Valentino didn’t just take the fashion runway to another level with this ‘subtle’ runway surprise, but his breathtaking collection of his signature ethereal gowns and buttoned up austerity never failed to capture the taste of his audience. His elegant creation this time sees the shift of the season so vividly – monochromatic, feather prints, appliqué dragon motifs and plenty of beading. 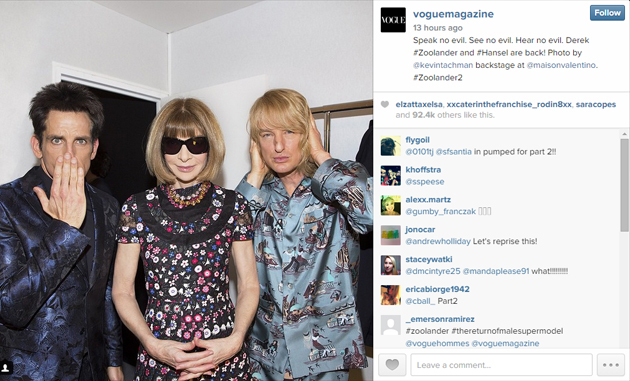 If you don’t already know, Zoolander is a 2001 American comedy film directed by Ben Stiller and, starring Stiller and Owen Wilson which featured a dim-witted male model named Derek Zoolander (a play on the names of Dutch model Mark Vanderloo and American model Johnny Zander), played by Stiller. 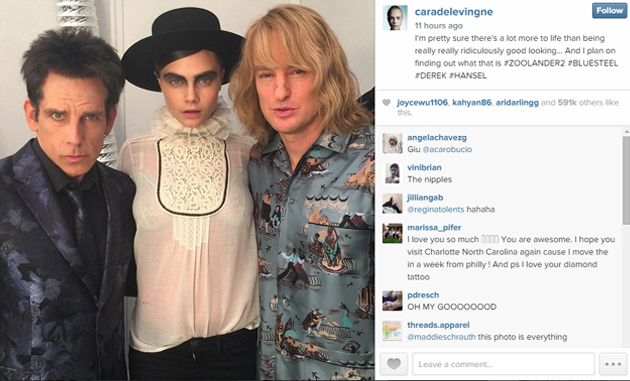 The film involves Zoolander becoming a pawn in a plot to assassinate the Prime Minister of Malaysia by corrupt fashion executives. Paramount released a statement today saying that the sequel of the film will hit theaters on Feb. 12, 2016.